When selecting to email pick tickets from either a Sales Order or from the Order Manager, the default email address populated on the email will be the Branch email address instead of the customer’s contact email address. Pick tickets are typically internal documents and aren’t designed to be sent to the customer. 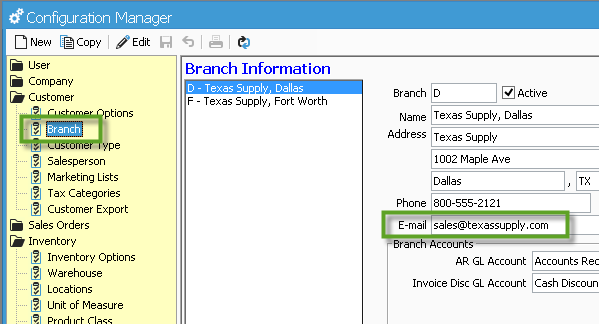 You can view the Branch email address by opening Configuration Manager and drilling down to Customer -> Branch.